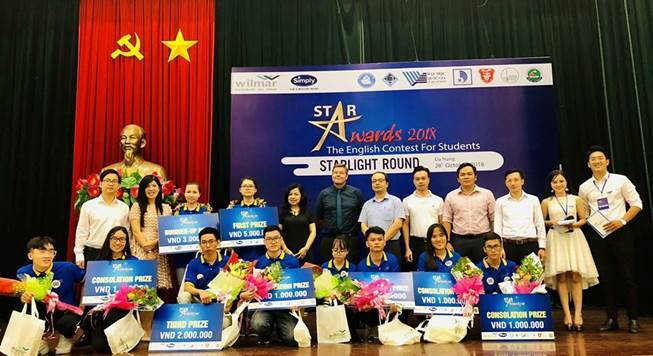 On October 28th, at the meeting hall of the University of Danang (UD), UD’s Youth Union and UD’s Students Association organized “The English contest for Student - the Star Awards 2018”. 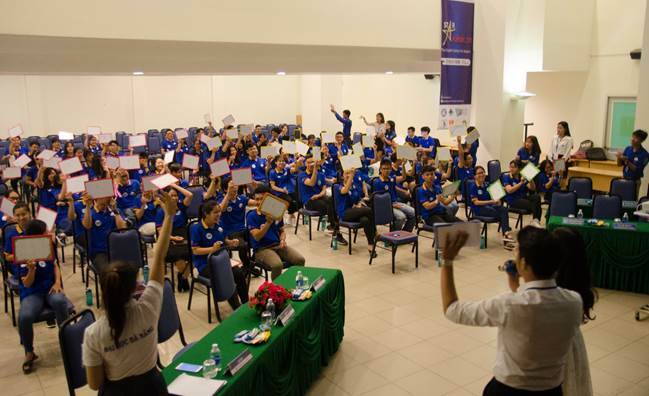 The contest attracted more than 7,000 students from various universities and colleges in Danang city. The first online round was conducted simultaneously in 06 clusters from September 01st to October 28th, 2018 (Vietnam National University, Hanoi; Vietnam National University, Hochiminh city; the University of Danang, Hue University and Can Tho University). 150 contestants had the highest scores would continue to compete for the Test Voice round and the organization board would select 100 best contestants to participate in the Offline round - Camping Day with the races: "The Amazing Race", "Who's smarter?" and "Who’s better?" to fight for 10 entrance tickets of the rhetoric round. All rounds not only focused on checking the foreign language proficiency of students but also created opportunities for students to reinforce their social knowledge, express their linguistic thinking, critical and creative thinking, their views and attitudes toward topics. As a result, student Do Hoai Giang (University of Foreign Language studies ​​- UD) who won the first prize and student Nguyen Thi Lan Nhi (University of Foreign Language studies ​​- UD) who won the second prize, would be honored to be Danang’s representative to join in the National final round organized at Thai Nguyen in the next November. The outstanding individual prizes belonged to student Nguyen Tan Dinh - Danang University of Medical and Pharmacy, student Do Hoai Giang - University of Foreign Language Studies ​​- UD; 03 Third prizes belonged to student Nguyen Tan Dinh - Danang University of Medicine and Pharmacy, Nguyen Nhat Cuong - University of Science and Technology - UD and Pham Thi Phuong - School of Medicine and Pharmacy - UD; 05 Consolation prizes belonged to student Truong The Khanh - University of Science and Technology - UD; student Tran Manh Trung - University of Economics - UD; student Nguyen Van Phung - University of Science and Technology - UD; student Tran Ngoc Thu Phuong - School of Medicine and Pharmacy - UD and student Nguyen Thi Thuy - University of Economics - UD. 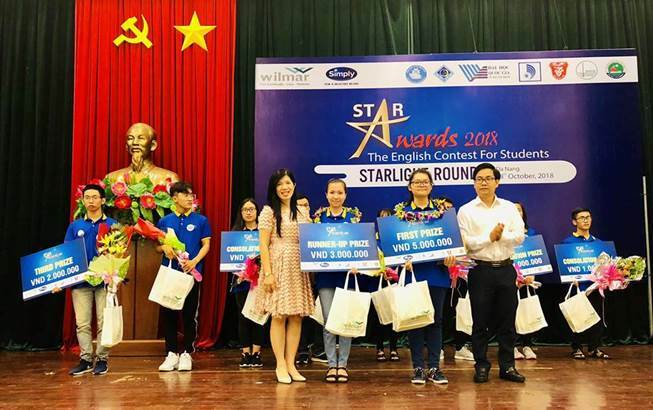 “The English contest for student - the Star Awards 2018” is an useful activity to strengthen the close co-operation relationship among national universities, regional universities and key universities in the whole country funded by Wilmar CLV Group. The contest aims to increase the cooperative opportunities and develop the enterprises-universities relationship to improve the quality of foreign language training for students, create a "playground" to develop foreign language skills as well as raise awareness of the importance of foreign languages in the international integration context. The contest is also an opportunity for students to cultivate social knowledge and integration skills focused on ethnic cultural identity, ASEAN community and enterprise culture.